This dish takes no time at all. You can give the traditional cranberry sauce a new twist with a jar of orange marmalade. I made mine a few days ahead. You can serve it cold or warm. The prep is so easy and fast there is still time to make it for today’s Thanksgiving dinner. Wash cranberries and drain. Combine sugar and cinnamon in a large bowl; add cranberries, stirring well. 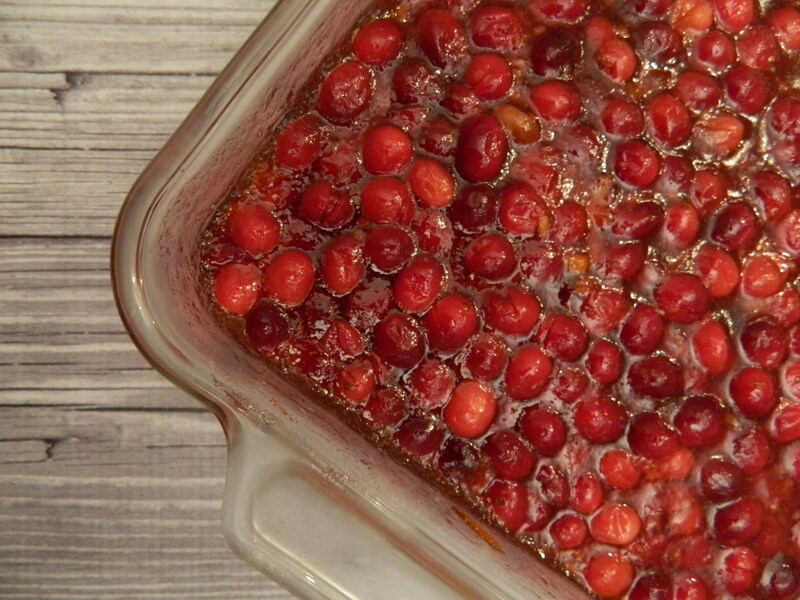 Place cranberry mixture in a 9-inch square pan. Cover and bake at 350 degrees for 45 minutes. Add marmalade, walnuts and lemon juice; stir well. Cool. Credit for this recipe goes to Southern Living. This entry was posted in Christmas, Cooking, Family, Food, Holiday, Hospitality, Party, Thanksgiving and tagged Baked Cranberry-Orange Sauce, Christmas cranberry sauce, Cindy Dyer, Food Photography, Nikon CoolpixL120, Quick cranberry sauce, Southern Living, Thanksgiving, Thanksgiving cranberry sauce by Barbara Garneau Kelley. Bookmark the permalink. I’ll have tablescape shots to share shortly! Cindy: Good work on cutting down the sugar. I actually used sugar free marmalade and it was plenty sweet. Thanks for reading.